For more information, or to see additional online content for this exhibit, click here. 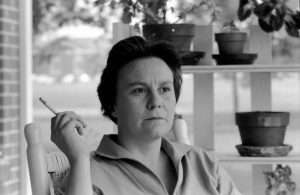 The Stratford Perth Museum is proud to partner with the Monroe County Museum to present Harper Lee: To Kill a Mockingbird exhibit for the summer of 2018. This is the first travelling exhibit ever created by the museum in Monroeville, Alabama. This original and exclusive exhibit turns the pages of one the world’s most loved novels. 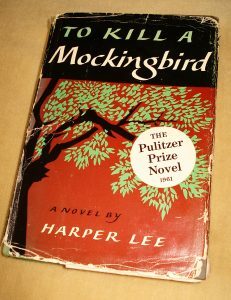 The iconic book is arguably one of the most enduring written works of our time and is as relevant today as it was in the 1930s when it was set and in the 1960s when it was published and despite dealing with an uncomfortable subject it has been a must read and loved book for generations. Similarly, the famous movie, which was so loyal to the plot of the novel, holds a special place in cinematic history and for many Gregory Peck will forever be Atticus Finch. The exhibit examines that phenomenon – a book that is so important to individuals, holds a special place in American culture and is remarkably popular around the world having sold 30 million copies in 40 languages? Thousands of people flock to Harper Lee’s hometown of Monroeville and the Monroe County Museum each year to see the exhibit Harper Lee: In Her Own Words. The museum is in the courthouse that was the setting for the climax of the movie. The Stratford Perth Museum is very proud of its partnership with the Monroe County Museum and to be able to present this exhibit in 2018. 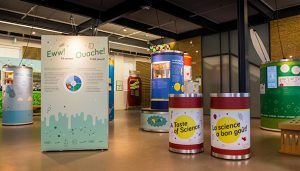 In this engaging experience, immerse yourself in an over-sized “pantry” and discover what makes food spoil, and different food preservation techniques. You’ll find lots to feed your mind and imagination on the menu! The Stratford Perth Museum is proud to be the venue for this exhibit created and curated by the Stratford Festival Archives. The masks we hold up to face the world – to reveal our desired identity or conceal an inner self – are many and varied. 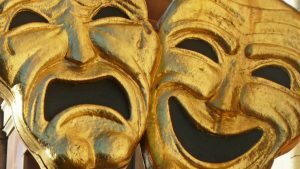 Through a dazzling range of props and costumes, at the Stratford Festival this exhibit 2017 exhibition will show how onstage masks and disguises are at the heart of drama. This interactive exhibit augment’s the Stratford Festival production of Treasure Island being mounted this season at the Avon Theatre. Geared for children, the exhibit explores the classic children’s story, its cast of unsavoury characters, as well as the book’s author Robert Louis Stevenson. Visitors to the Museum, both young and old, can dress up like Long John Silver, grab a sword, sport an eye patch and pose for a picture on the deck of a pirate ship. Or you can be a young Jim Hawkins and quietly hide in a barrel for safety. And there’s even a treasure map. 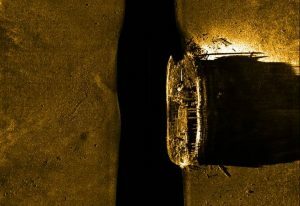 examines the mysteries surrounding the Franklin Expedition and sheds light on the historical context of science and exploration in the 19th century. The display focuses on Inuit traditional knowledge, the reasons behind the fatal expedition and the clues collected during the initial research efforts. It allows the visitor to create links with contemporary research in the Arctic and the methodology and progress of ongoing scientific work in the Canadian North. Supporting the exhibit are reproductions of Franklin Expedition artifacts, dive equipment, photos, and resource materials. 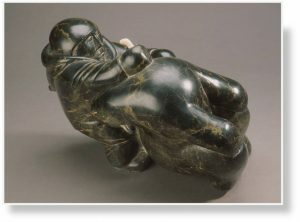 Nanuk’s Journey fea tures major sculptures from the AGO’s Samuel and Esther Sarick Collection. Focussed on the subject of Nanuk the polar bear, the exhibition compliments the Stratford Festival’s The Breathing Hole, a new play by Colleen Murphy directed by Reneltta Arluk (Gwich'in and Chipewyan-Cree). Nanuk's Journey is curated by Andrew Hunter (the AGO’s Fredrik S. Eaton Curator, Canadian Art) in consultation with Inuvialuit Reneltta Arluk. The exhibit includes work by: deceased Cape Dorset artist and hunter Tim Pitsiulak, Tudlik, Niviaksiak, Matthew Aqugaaq, David Ruben Piqtoukun, Osuitok Ipeelee, Pauta Saila, Andy Miki, Parr and Bill Nasogaluak, among other notable Inuit artists. Following its presentation at the Stratford Perth Museum, the exhibition will be featured in the AGO’s Samuel and Esther Sarick Gallery. Explore and interact with iconic scenes from The Lion, the Witch and the Wardrobe. Discover the imagery, symbolism and influences that inspired the world of Narnia. C.S. Lewis was a professor of English Literature, a medievalist, a WWI veteran, and a convert to Christianity. How did all of these influences help to shape his most well-known story? A fairy tale, an allegory, a coming-of-age story – explore the many messages of this beloved novel. This hands-on exhibit is full of fun for the whole family! 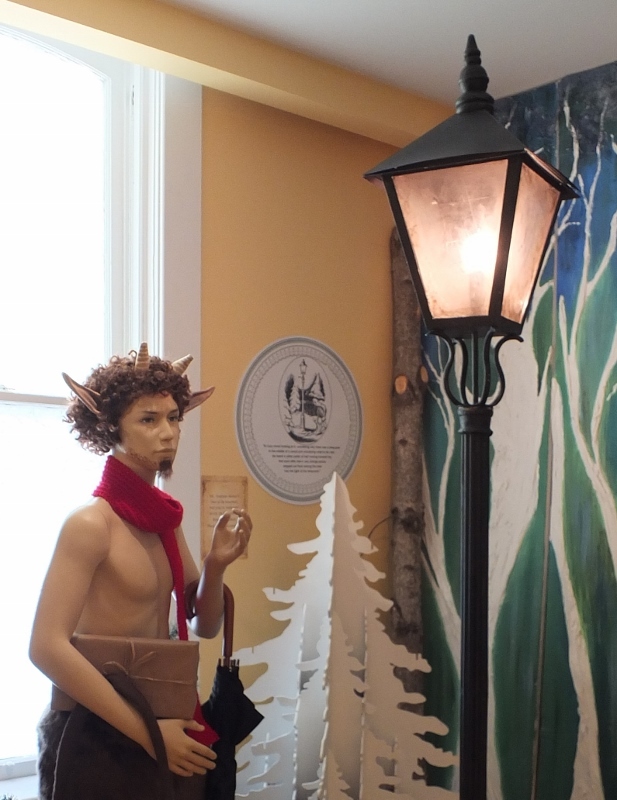 We would like to thank the Stratford Festival for their collaboration and support in this project. 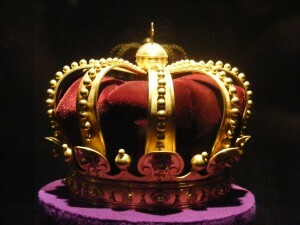 The Festival Archives explores the making of a king, from might to right, and the royal language of display. A fascinating look at the visual language of power seen through the prism of the Stratford Festival Archive’s collection of royal costumes and crowns, with dazzling stage robes and jewels. Audiences can dis cover dark inner and outer worlds through rare images, unique props, and historic costumes from some of the Stratford Festival’s extraordinary productions of King Lear and The Adventures of Pericles. Shakespeare's works are stories about light and darkness, order and chaos. They have shown generations not only chaotic outer and inner worlds, but also a deeper understanding of how suffering can carve a path to wisdom in this life. Pericles and King Lear lead us into the darkness in the human heart and then back into the light of humanity. This exhibition demonstrates how these themes have been transferred to the Stratford Festival stage over past decades. A travelling exhibit from the Anne Frank House in Amsterdam, Anne Frank: A History for Today was presented in conjunction with the Stratford Festival's production of The Diary of Anne Frank. 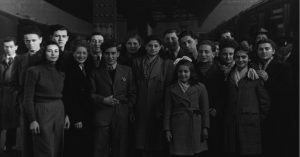 It explored the life of Anne Frank and her family, from her early life in Germany, to their period in hiding in the Netherlands, and to their incarceration in various concentration camps. This information was presented through a detailed timeline of the Frank family, and the general history and events of the Second World War, and was accompanied by dozens of photographs. This exhibit was augmented by 17 artifacts from the Montreal Memorial Holocaust Centre, including Jewish identity items, personal effects recovered from concentration camps, a 1947 edition of The Diary of Anne Frank in Dutch, and a prisoner's uniform jacket from Auschwitz-Birkenau. We would like to thank the Anne Frank House and the Stratford Festival for their involvement in hosting this exhibit. For more information on the success of Anne Frank: A History for Today, see this news article.